Doug Conant uses this simple but powerful phrase as the basis for his leadership style. Doug is the former CEO of Campbell Soup Company. He is currently Founder & CEO of Conant Leadership, Chairman of Avon Products and Chairman of The Kellogg Executive Leadership Institute. Conant summarizes this leadership principle by relating a compelling personal story about his own job loss – and how an outplacement counselor who used those words, “How can I help?” spurred him to rethink his approach to his personal life and his leadership philosophy. 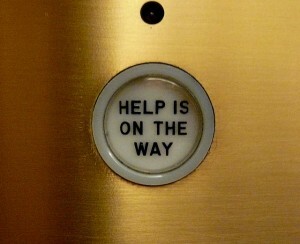 What does it really mean to have a “How can I help” mentality? According to Doug, it goes beyond just starting a conversation with these words. It means being fully attentive and genuinely supportive. It means listening intensively and not judging while the other person talks. It means that you are investing part of yourself in terms of the time, attention, and insight that you provide to the other person. Doug connected this helpfulness attitude to an open display of gratitude. He estimates that he authored over 30,000 hand-written thank you notes during his tenure at Campbell’s Soup. He claims that these many small acts of sincere thanks were repaid many times over, as many people were eager to help him in return. (A former executive of a company that I worked for had a similar commitment to hand-written thank you notes. In today’s world of text messages, tweets, and emails, these personal expressions of thanks are indeed rare – which makes them even more special to the recipient). The philosophy of “How can I help?” is akin to the notion of servant leadership, which was introduced in an essay by Robert Greenleaf over 40 years ago. His work influenced a host of thought leaders, among them Ken Blanchard, Stephen Covey, Peter Senge, and M. Scott Peck. In his essay, Greenleaf summarizes servant leadership this way. I have known a few leaders who had a predilection toward serving first. But I have rarely encountered a true servant leader as defined by Greenleaf. However, I have a boyhood memory of a unique individual who embraced the “How can I help?” mentality. He wasn’t a business leader, a community leader, or a church leader. He was not employed in any of the so-called ‘helping’ professions like nursing or counseling. He was a simple migrant worker. When I was 15, I worked one summer for a fruit grower. The farm had hundreds of acres of apple, cherry, peach, and pear trees. A large migrant worker group provided the labor for harvesting the fruit. These workers came north in the summer and early fall to pick the fruit as it ripened – then migrated to Florida to work in the citrus orchards during the winter. It was a mixed group of African-Americans, Mexicans, and Puerto Ricans. And there was also “Redfield”. Redfield (I never knew whether that was his first name or last name) was a Native American. He was not a supervisor, but had clearly gained the respect of his migrant co-workers and was an opinion leader. In retrospect, many times he assumed the role of servant leader. A few memories of that summer support this view. He would always help anyone with setting their ladder in the tree whenever he noticed that they were struggling with this task. I saw him assist others multiple times each day. While this may seem unremarkable, all these workers were paid by the bucket or bag. Any time that he spent helping someone else meant that he was giving up the chance to earn more money. He would serve as a kind of arbitrator when arguments would flare up in the migrant community. Several times that summer, I observed him taking angry workers aside and calming them down. Again, this was at the expense of his “picking” time. He always had a smile and a kind word for me. I remember vividly how he came to my aid on the first day that we were thinning peaches. (The technique required you to use a long pole to remove excess peaches in a cluster while they were green. By doing so, it allowed the remaining peaches to grow larger as they ripened). After watching me struggle for the first hour, he patiently pointed out an easier way to perform the task. On more than one occasion, he donated 5 or 6 buckets of cherries that he picked to someone else – anonymously. If someone wasn’t feeling well and could not pick fruit at their usual pace, he would tell the person who was punching the tickets when the buckets were delivered to the collection point to “Put these on so-and-so’s ticket when they come in. They are having a bad day.” Again – foregoing some of his own income to help his neighbor. He was paying it forward long before the term was fashionable. My memories of Redfield reinforce the notion that anyone can choose to develop and sustain a helpful attitude. When you are a manager or supervisor, much of your success is dependent upon how well those who report to you are able to fulfill the responsibilities of their jobs. In other words, their success is your success. Photo credit: https://flic.kr/p/4NAeyW. Cory Doctorow. May 15, 2008.